Virtual reality is a technology concept that’s been periodically attempted by the tech, gaming, and motion picture industries, but for a variety of reasons has never quite caught on. The concept goes back all the way to the 1960s, and something called Sensorama, although the concept lived more in sci-fi than reality for most of the next couple decades. Companies like Virtuality and Sega made VR gaming attempts in the 1990s, but neither succeeded. More recently, the idea has gained an increasing amount of traction, with new VR products showing up each year at the International Consumer Electronics Show, and the Facebook-owned Oculus Rift finally arriving on the market this year after years of hype. Now, one of the world’s largest tech companies is teaming up with a titan of the movie exhibition industry to create a new VR camera. "For nearly 50 years, IMAX has pioneered moving image capture to allow filmmakers to produce the highest resolution images across 2D, 3D, film and digital formats. Today's partnership with Google takes us into the next frontier of immersive experiences – virtual reality – and we look forward to working with them to provide our filmmaker partners and other content creators with a level of VR capture quality not yet seen in this space. VR marks an exciting area of opportunity for IMAX and we believe this agreement, which enables us to participate in image capture and content creation, is an important first step in our broader VR strategy." Also this week, IMAX announced that it has entered into an agreement with Swedish VR content and technology company Starbreeze AB, under which "IMAX will create a premium VR experience that will leverage Starbreeze’s unique StarVR headset technology to offer a truly immersive VR experience," the company said in a press release Friday. Should we be excited that Google is involved with this? Well, it’s unclear. They’re clearly one of the world’s most innovative technology companies, and have built the Google Play store into a major conduit for entertainment consumers to get their movies and TV shows. If there’s anyone who can solve the decades-long riddle of how to make VR work with movies, perhaps the combination of Google and IMAX can. However, the announcement is somewhat vague about how exactly the technology will work and how far away it is. 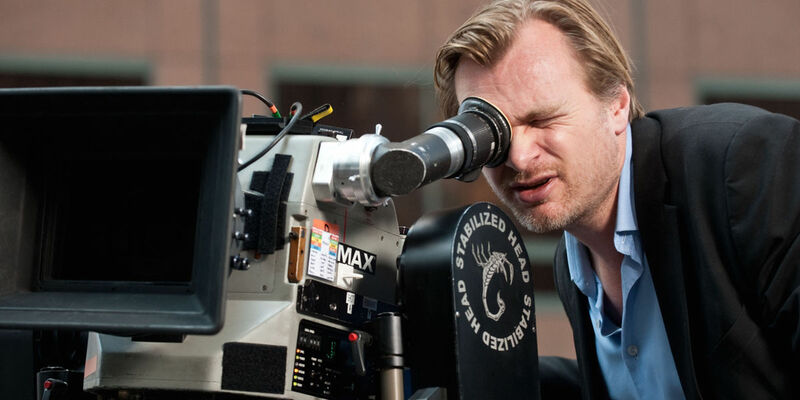 While the release lists a group of major filmmakers - Christopher Nolan, J.J. Abrams, Michael Bay, Anthony and Joe Russo, and Zack Snyder - as directors who have worked in the IMAX format, none are specifically mentioned as directly participating in the Google project. Also, Google’s most notable contribution to actual movie production so far has been the 2013 comedy The Internship, in which Vince Vaughn and Owen Wilson become interns at Google in what many believe amounted to a two-hour commercial for the company and its various products. Meanwhile, Google TV, an attempt by the company to partner with television manufacturers to build a search interface, also petered out unsuccessfully. So, it remains to be seen how this partnership between Google and IMAX will play out for the average consumer - and whether it turns out to bring us one step closer to the rise of VR as depicted in so many sci-fi properties. Google and IMAX have not announced a timetable for their collaboration.